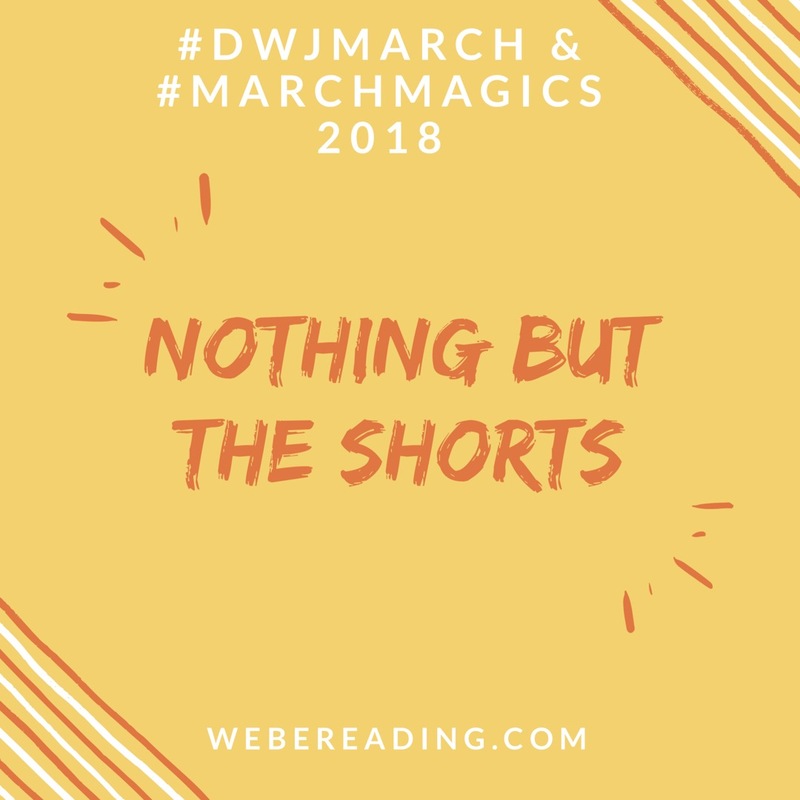 We Be Reading: Welcome to #MarchMagics / #DWJMarch! 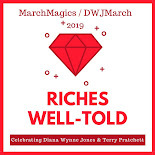 Welcome to #MarchMagics / #DWJMarch! Hooray! March first! 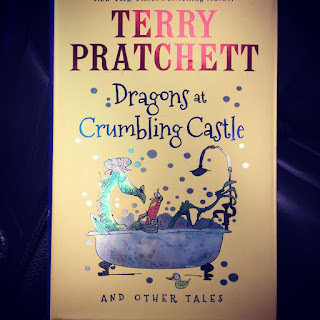 I'm so ready to start reading all of the Terry Pratchett and Diana Wynne Jones I can possibly shove into these 31 days. 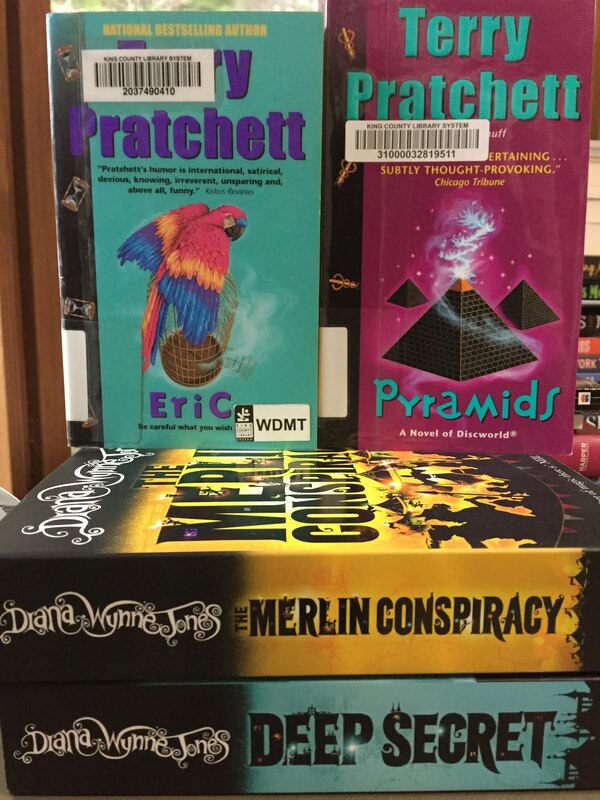 This wretched month may have taken these authors too soon but we can conquer the blues with the grandest reading celebration possible! My plan is to have a post each Thursday starting next week where you can come and comment and/or leave links so that we can all share our reads and posts. 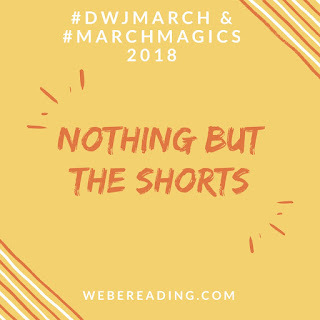 Remember to use the #dwjmarch or #marchmagics hashtags on social media! I'll pick up content from those each week. These are the short story collections. The DWJs will all be rereads and the Pratchetts are all new to me. And these are the novels that I've pulled so far. 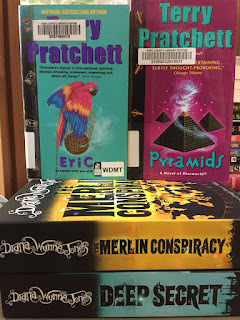 Jean mentioned recently reading DWJ's Magids books and she put me in the mood for rereads! 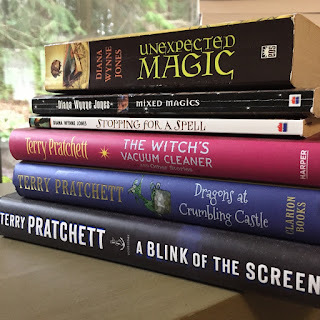 The two Discworld books are new to me as I'm still working through them all for the first time. 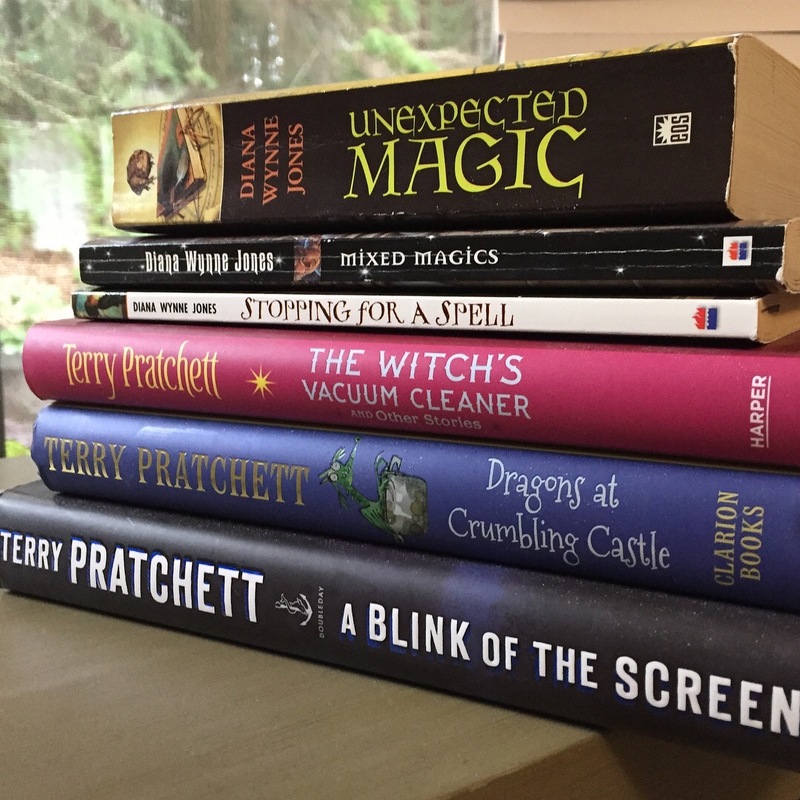 They'll be my 18th and 19th Discworld reads. 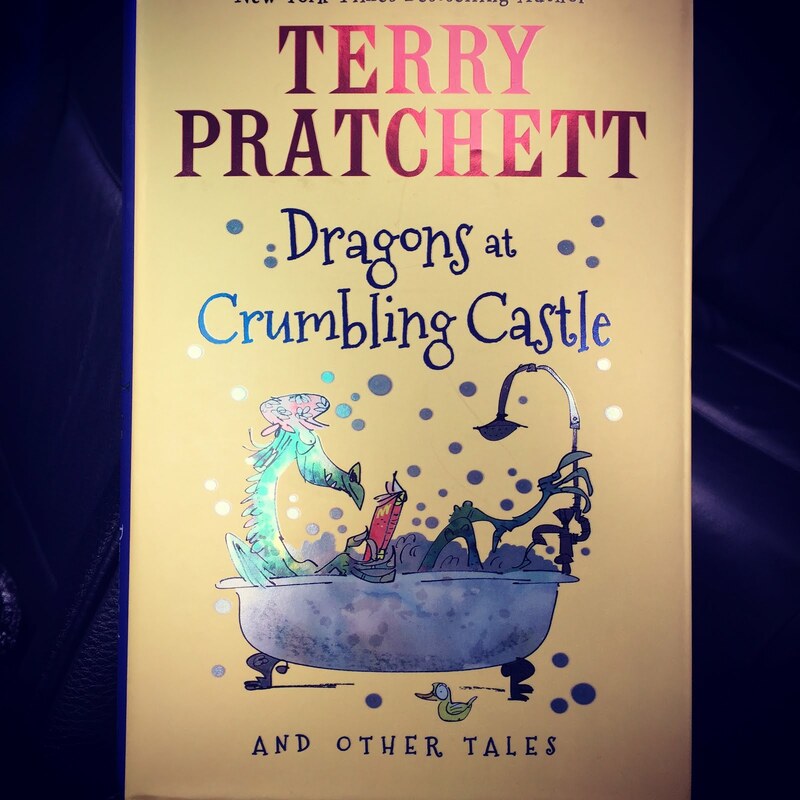 And, confession: I've already cheated and started reading Dragons in Crumbling Castle a day or two early. It's got silly little stories that are a pleasant escape! What book are you starting the month with? What are you most looking forward to? Everard's Ride! I can't wait to read it again! I'm not sure what else DWJ books I'm planning on, but I'm thinking maybe Homeward Bounders? It's been a minute since I read that one. If I have extra time, I'm going to squeeze in a Homeward Bounders reread too. Everyone keeps mentioning it!